What does it take to become a child computing prodigy? 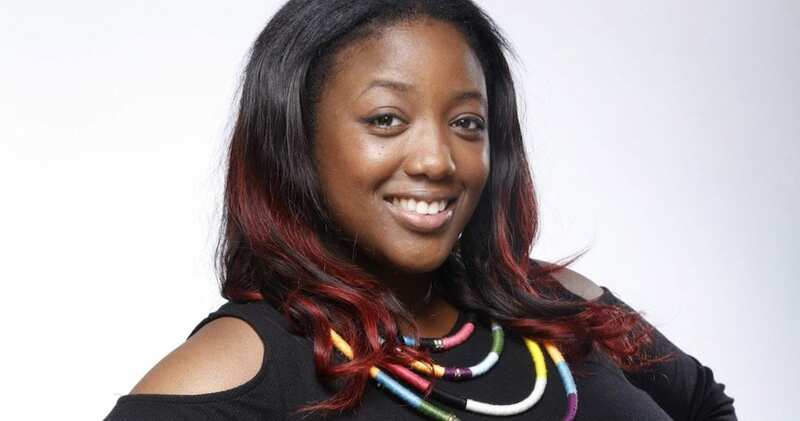 Judging by Dr Anne-Marie Imafidon — who got an A-level college qualification in computing aged just 11 — it might have something to do with being the class clown. By the age of 10, Imafidon’s school suggested a new approach: Putting her forward to take her GCSEs in ICT and maths — standard exams British pupils normally take at 16. She passed and soon pressed on with her higher-education qualification, becoming the youngest girl in Britain to get an A-Level in computing. It helped earn her a place at the University of Oxford, aged 17. “I’ve not got a babyface or anything like that so it wasn’t immediately obvious that I was a lot younger than everybody. So I kind of just tried to slide in under the radar,” she says of her time at university. After she got her masters at 20, Imafidon went on to work at firms like Deutsche Bank, Hewlett-Packard, and Goldman Sachs. For the past five years, however, her focus has been on diversity and getting girls into science, technology, engineering, and mathematics (STEM) careers through her company Stemettes. Statistics from WISE— which is campaigning for gender equality in STEM — indicate that while there was a growing number of girls signing up for core STEM subjects in 2017, they still only represented 36.7% of entrants. In computing, only 10% of entrants were girls. It’s a big problem to tackle for a company the size of Stemettes, which has just five part-time and freelance staff. Still, it packs a punch, having reached just under 40,000 young people with its events and workshops across the UK and Ireland. Prince Harry and Meghan Markle have also shown an interest, taking part in a Stemettes event on International Women’s Day in May. They met children who were getting to grips with technology, including learning how to hack and code. Imafidon believes the biggest barrier to entry for girls in tech is social expectations. “The biggest barrier that we talk about is the social norm. It’s all the stereotypes, and all the ‘IT Crowd,’ ‘Big Bang Theory’ type things that are pervasive across our culture,” she said. Stemettes works to counter these stereotypes through a mix of initiatives including mentoring, organising events, and getting girls into the industry for some first-hand experience. It recently sent five girls to Houston for the Grace Hopper Celebration of Women in Computing. As well as getting girls in on the ground floor, Imafidon wants to see the industry change the way it treats the women already in its ranks. “There’s definitely more we should be doing around how we recruit, how we promote, the language we use in performance reviews, the way that we run meetings — there’s so much that needs to be done in the industry to keep women in,” she says. Hostility towards women in tech is often in the spotlight. One recent example was when Victoria’s Secret model and coder Lyndsey Scott was targeted by trolls who questioned her technical ability. Lamarr was an actress in the 1930s and 1940s, and she developed technology that could guide radio-controlled underwater missiles without being detected. That same technology now underpins wifi and Bluetooth. Imafidon believes that if stories like Lamarr’s were better known, women working in technical fields wouldn’t come up against as much resistance. She does think, however, that things are changing for the better, with female characters like Shuri from “Black Panther” introducing more narratives about smart women into popular culture. But great though Shuri is, she says the most important thing is to tell true stories. Imafidon points to the film “Hidden Figures,” which tells the story of three black women who worked at NASA and helped put astronaut John Glenn into space. “That’s more real. I guess it’s cool to know that Shuri can do that, but it’s even cooler to know that your teacher’s grandma probably helped stop the war by being a code-breaker at Bletchley,” she says. Imafidon has also been labelled as an inspiration in her own right, and it’s why she’s deserving of a place among Business Insider’s coolest people in UK tech.